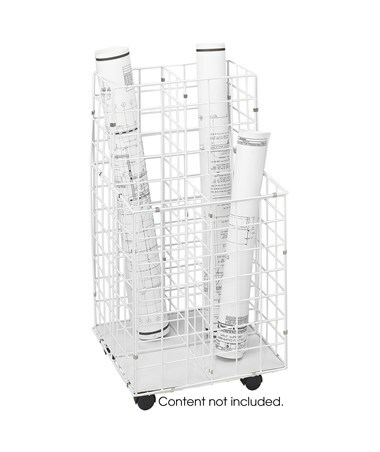 The Safco Steel Wire Roll File is great for storing large documents such as blueprints, maps, floor plans and the like. It has a weight capacity of up to 100 pounds and its compartments can hold documents of any size. Its four 1.5-inch carpet casters make it mobile on all surfaces. 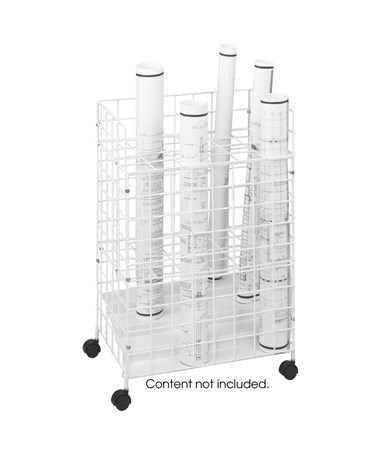 This mobile roll file is made of heavy-gauge steel rod with a white plastic coating. It is also GREENGUARD certified and NSF listed which means it is safe for indoor use. 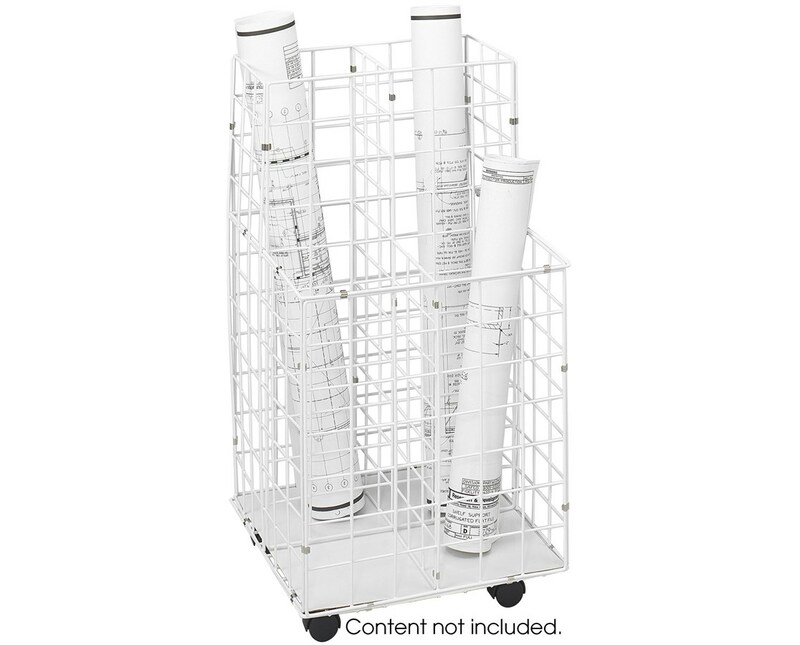 The Safco Steel Wire Roll File is available in two numbers of compartments. Please select your preference from the choices above.